A Divvy dock. Photo: Kevin Zolkiewicz. 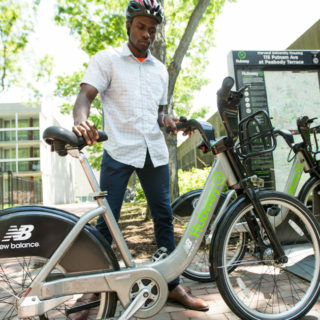 As the nation’s most popular bike share discount program prepared to turn one year old on Sunday, the Chicago Department of Transportation faced a decision. Should the first cohort of people who signed up for Divvy for Everyone‘s $5-a-year program in July 2015 be able to extend their bargain-basement deal indefinitely? Would they be nudged directly into the full-price program at $9.95 per month? Or something in between? With 1,450 participants in Divvy for Everyone, 50 percent of whom have used their $5-a-year membership to ride 10 or more times, it was a significant financial decision. CDOT decided to split the difference. Starting yesterday, people who’ve signed up for Divvy for Everyone can renew at $5 per month, half the standard price. 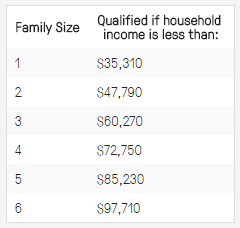 There’s also a $50 per year lump-sum option, half of the standard $99. 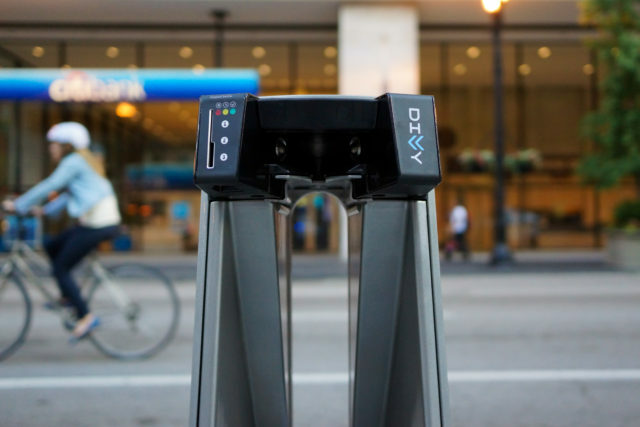 Divvy simultaneously introduced a PayNearMe service, already in place in Philadelphia and other cities, that lets people pay for bike-share trips and memberships with cash at 7-Eleven or Family Dollar. 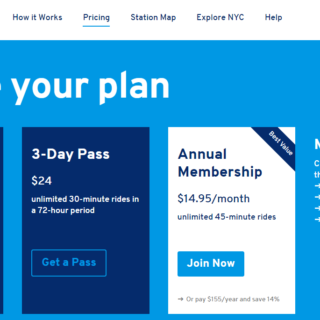 If someone uses the $5-per-year program for the first year and the $5-per-month for the second year, CDOT expects them to move to the standard price in year three. 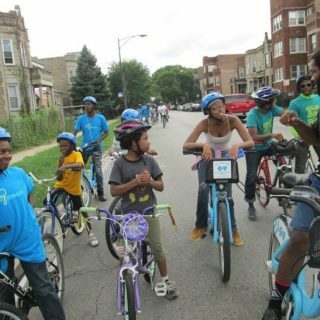 For Woodall, Divvy for Everyone is in part a way to connect lower-income people with an affordable way to move around. She used an example of a household with one parent who works a late shift. 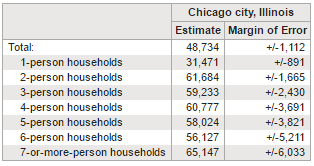 Divvy for Everyone’s racial and ethnic statistics look very much like Chicago’s population: about one-third of its users identify as black, about one-third as white and about one-third as other races or ethnicities. 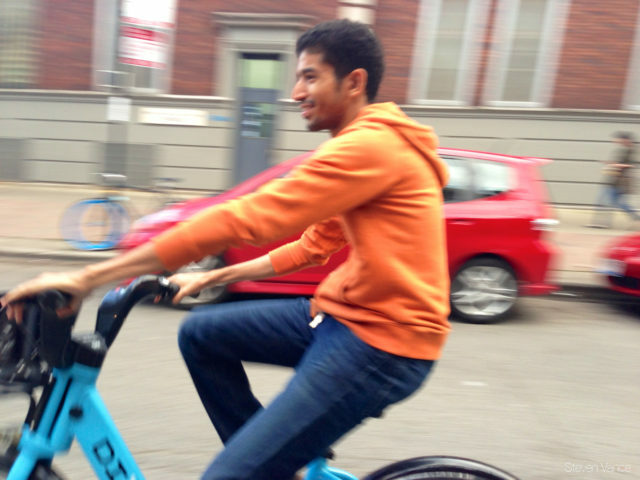 Alex, a first-time Divvy rider. Photo: Steven Vance. But though almost every Chicagoan is price-sensitive, Woodall said that even at its full price, Divvy is affordable. A one-way bus ticket from the Chicago Transit Authority costs $2; a ride on the ‘L’ train costs $2.25. Transfers add another 25 cents. But Divvy offers unlimited rides of up to 30 minutes for $10 per month — the price of two days of round-trip commuting via CTA. If you can afford the $99 lump sum, it’s even cheaper. But give people a chance to experiment with bike sharing, Woodall said, and many will realize that it does have value. The Better Bike Share Partnership is a JPB Foundation-funded collaboration between the City of Philadelphia, the Bicycle Coalition of Greater Philadelphia, the National Association of City Transportation Officials (NACTO) and thePeopleForBikes Foundation to build equitable and replicable bike share systems. Follow us on Facebook, Twitter and Instagram or sign up for our weekly newsletter. Story tip? Write info@betterbikeshare.org.